Though the network hasn’t handed out many renewals for its current slate of TV shows, FOX is quite proud of how they’ve performed in the first half of the 2010-11 season. Here’s a press release that sums up the highlights for American Dad, Bones, The Cleveland Show, Family Guy, Fringe, Glee, Hell’s Kitchen, House, Human Target, Lie To Me, Raising Hope, and The Simpsons. · FOX was also the No. 1 network among Adults 18-34 and Teens this Fall. · Despite its move to 8pm, GLEE gained more viewers year over year (+40%) than any other returning show this Fall. · FOX had four shows in the top 20 among Adults 18-49: o GLEE (#4), HOUSE (#12 tie), FAMILY GUY (#12 tie), and THE SIMPSONS (#18). · FOX had seven shows in the top 20 among Adults 18-34: o GLEE (#2), FAMILY GUY (#5), THE SIMPSONS (#7), HOUSE (#8), THE CLEVELAND SHOW (#9), AMERICAN DAD (#12) and RAISING HOPE (#19). · FOX had nine shows in the top 20 among Teens 12-17: o GLEE (#1), FAMILY GUY (#2), THE CLEVELAND SHOW (#3 tie), THE SIMPSONS (#5), AMERICAN DAD (#6), RAISING HOPE (#9), FAMILY GUY encore (#10), and AMERICAN DAD encore (#17). · Three FOX shows ranked in the top 10 programs among Adults 18-49 C3 ratings: GLEE (#2), FAMILY GUY (#9), and THE SIMPSONS (#10). · FOX’s median age of 45 for regular programming this Fall was the youngest of the four major broadcast networks – four years younger than the second-youngest network, NBC; six years younger than ABC; and 10 years younger than CBS. · FOX prime demonstrated a significant concentration of upper income viewers this Fall, with a 106 index among Adults 18-49 with a household income of $100,000 or more. · BONES ranks among the season’s Top 10 regularly scheduled dramas among Adults 18-34 and its male/female components. · BONES ranks among the season’s Top 20 regularly scheduled programs among Women 18-34. · BONES ranks No. 1 in its Thursday 8-9pm time period among Women 18-34, taking the No. 2 spot among Adults 18-49, Women 18-49, Women 25-54 and Total Viewers. · BONES delivers a professional audience, exceeding its Total U.S. Adults 18-49 average among “Adults 18-49 that are Professional or Managerial” (109 index). · FRINGE ranks among the season’s Top 10 regularly scheduled dramas among Men 18-49, Men 18-34 and Men 25-54. · FRINGE builds from its BONES lead-in among Men 18-49 (+12%) and Men 25-54 (+10%). · FRINGE delivers an upscale audience, surpassing its Total U.S. Adults 18-49 average in “Adults 18-49 with Household Income of $100K+” (107 index), “Adults 18-49 that are Professional or Managerial” (119 index), and “Adults 18-49 with 4+ Years of College” (107 index). · GLEE is this season’s No. 1 entertainment program among Adults 18-34 and Teens, while being the No. 1 comedy among Women 18-49/18-34. · GLEE ranks No. 1 in its Tuesday 8-9pm time period among Adults 18-49, Adults 18-34, Teens, Women 18-49, Women 18-34 and Men 18-34. · GLEE’s original average is up substantially over its comparable 4th quarter 2009 average among Adults 18-49 (+43%), Adults 18-34 (+38%), Teens (+71%) and Total Viewers (+56%). · Attracting an upscale audience, GLEE has broadcast prime’s fourth-highest index among “Adults 18-49 with Household Income of $100K+” (157 index). · Hell’s Kitchen’s 8pm and 9pm telecasts rank among the season’s Top 20 regular primetime programs among Men 18-34. · Hell’s Kitchen ranks No. 2 in its competitive Wednesday 9-10pm time period among Men 18-34. · Hell’s Kitchen ranked No. 2 in its Wednesday 8-9pm time period among Adults 18-34, and all key male measures. · HOUSE ranks among the season’s Top 10 regular programs among Adults 18-49, Adults 18-34, Men 18-49/18-34 and Women 18-49/18-34. · HOUSE ranks among the season’s Top 10 dramas among Adults 18-49, Adults 18-34, Teens, Women 18-49/18-34 and Men 18-49/18-34/25-54. · HOUSE dominates its Monday 8-9pm time period among Adults 18-49, Adults 18-34, Teens (tie) and Men 18-34, ranking No. 2 among all other key adult demos. · HOUSE delivers an upscale audience, surpassing its Total U.S. Adults 18-49 average in “Adults 18-49 with 4+ Years of College” (108 index) and “Adults 18-49 with Household Income of $100K+” (116 index). · HUMAN TARGET ranks No. 2 in its Wednesday 8-9pm time period among Adults 18-49 (tie), Total Viewers and Men 18-49/18-34/25-54. · HUMAN TARGET delivers an educated and affluent audience, exceeding its Total U.S. Adults 18-49 average among “Adults 18-49 with 4+ Years of College” (110 index) and “Adults 18-49 with Household Income of $100K+” (105 index). · LIE TO ME delivers an educated audience, surpassing its Total U.S. Adults 18-49 average in “Adults 18-49 with 4+ Years of College” (112 index), “Adults 18-49 that are Professional or Managerial” (116 index), and “Adults 18-49 with Household Income of $100K+” (116index). · RAISING HOPE ranks as the season’s No. 1 new series among Adults 18-34 and Teens. · RAISING HOPE ranks among the season’s Top 20 programs among Adults 18-34 and Women 18-34, while ranking among the Top 10 programs among Teens. · RAISING HOPE ranks No. 1 in its Tuesday 9-9:30pm time period among Teens and all 18-34 measures. · RAISING HOPE was FOX’s highest-rated half-hour live-action comedy series premiere in three and a half years among Adults 18-49 and Adults 18-34 (since 3/4/07, The Winner), and in three years among Total Viewers (since 9/19/07, Back To You). · RAISING HOPE delivers an educated and affluent audience, surpassing its total U.S. Adults 18-49 average in “Adults 18-49 with 4+ Years of College” (125 index) and “Adults 18-49 with Household Income of $100K+” (109 index). 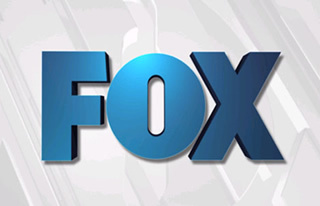 · FOX Sunday 8-10pm is primetime’s highest-rated comedy block among Adults 18-34, Teens and Men 18-49/18-34. · FOX’s THE SIMPSONS, CLEVELAND, FAMILY GUY and AMERICAN DAD rank among the season’s Top 10 regular programs among Adults 18-34, Teens, and Men 18-49/18-34. · In its 22nd season, THE SIMPSONS ranks among the season’s Top 10 programs among Adults 18-34, Teens and Men 18-49/18-34/25-54. The sitcom ranks among the season’s Top 20 programs in Adults 18-49 and Women 18-34. · THE SIMPSONS ranks No. 1 in its Sunday 8pm half hour among Adults 18-34, Teens, Women 18-34 and Men 18-34, ranking No. 2 among Adults 18-49. · CLEVELAND places No. 2 among Adults 18-34 and Men 18-49/18-34 in its Sunday 8:30-9pm half hour, ranking No. 1 among Teens. · CLEVELAND delivers a diverse audience, indexing far above its Total U.S. Adults 18-49 average among “African American Adults 18-49” (152 index). · FAMILY GUY is the No. 1 primetime half-hour comedy among Teens, Men 18-49 and Men 18-34. · FAMILY GUY is primetime’s No. 1 entertainment program among Men 18-49 and Men 18-34. · FAMILY GUY ranks No. 1 in its Sunday 9-9:30pm half hour among Teens and No. 2 with Adults 18-49, Adults 18-34, and Men 18-49/18-34/25-54. · AMERICAN DAD ranks among the season’s Top 10 programs among Adults 18-34, Teens and Men 18-49/18-34. · AMERICAN DAD ranks No. 2 in its Sunday 9:30-10pm half hour among Adults 18-34 (tie), Teens and Men 18-49/18-34.